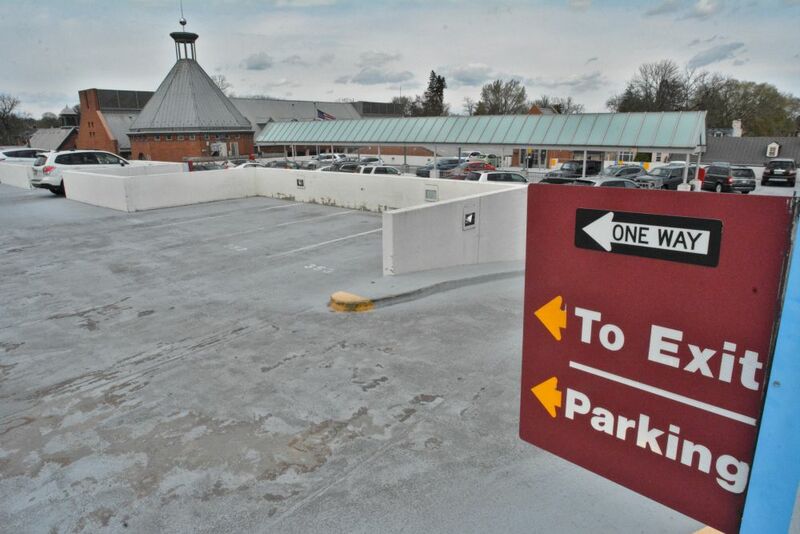 On May 20, fine dining in Leesburg will go where it has never gone before—and parking should be pretty close, too. 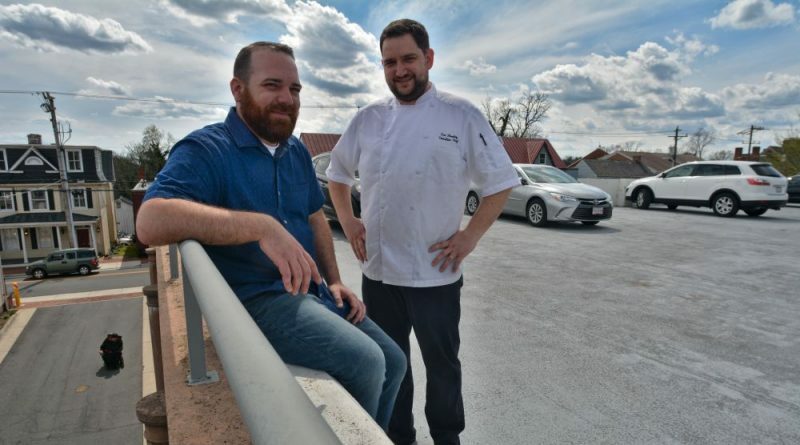 Wine Kitchen manager Charles Schech has plans for a sunset dinner on the top deck of the Town of Leesburg’s parking garage Monday, May 20. The $150-a-plate tickets get guests a night of fine dining from Wine Kitchen, wines from Walsh Family Wine, food from Tuscarora Mill, Cocina on Market and King Street Oyster Bar, tastings from Catoctin Creek Distillery, dessert from Mom’s Apple Pie, music by Ted Garber—and an experience unlike any that has been had before in Leesburg. In addition to dinner atop one of the tallest structures in Leesburg, guests will have a meal prepared by Wine Kitchen’s renowned Chef Tim Rowley. Rowley has a menu worked out, assuming everything comes into season when expected—his all-local, all-fresh menus are highly dependent on what’s in season for local farmers. But by the end of May, he said, plenty of spring dishes should be in season—like a marinated quinoa salad, roasted strawberries, pickled ramps and radishes, a beet and citrus salad, grilled asparagus and baby carrots, rhubarb, green tomatoes, grilled flank steak and smoked chicken. The top floor of the parking garage will be closed all day that day, with the first people showing up close to 5 in the morning to get ready for dinner. Hosting a dinner on top of a parking garages turn out to a be a logistical challenge—especially for getting big pieces like an 80-foot tent or weighted barrels to hold it down on top of the garage, which has a posted clearance of six feet, six inches. Large trucks cannot fit under its ceilings or navigate its winding ramps. The tent alone will involve a feat of inventiveness by a company from Charlottesville called Commonwealth Event Company, which Schech said will follow the larger trucks carrying the tent with smaller trucks that will be modified to carry the pieces of the tent up to the top of the parking garage. Another company that fills pools has agreed to run a hose up the side of the parking garage to fill the four dozen 55-gallon water barrels that will make sure the tent isn’t blown away in the wind. Schech has a long résumé of planning banquets at the Salamander Resort and Spa or for Hilton, but even for him, planning the evening was ambitious. “I almost gave up a couple times, but people kept telling me how great of an idea it was and not to give up,” Schech said. All of the evening’s proceeds will benefit Mobile Hope Loudoun, which provides low-income families with daily essentials such as food, clothes, hygiene products, school supplies, books, toys and referrals to other organizations at its headquarters in Leesburg and through the Mobile Hope bus. Mobile Hope’s Crisis Care program focuses on the needs of 18 to 24-year-olds who are precariously housed, helping them with basic needs, housing solutions, extensive care management and life skills. 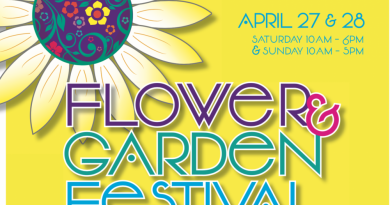 That donation will also benefit from the charity of local businesses—Leesburg florist Petals & Hedges is providing flowers at a fraction of their normal cost, all the food is donated or provided at cost, and the serving staff is all volunteer. As for the kitchen staff, Rowley is paying them out of the restaurant’s budget. On top of that, guests walk away with a gift bag including a $50 set of wine glasses from Ashburn-based Fortessa Tableware Solutions, which also operates Sterling Restaurant Supply at One Loudoun. Because of the unusual nature of the event, the Town of Leesburg’s staff asked the Leesburg Town Council to vote on the event permit. The council unanimously approved the permit. “It will be a precedent of what we can do,” said Vice Mayor Marty Martinez, adding if it works out well, it can be done again. Tickets, which are selling out quickly, are available at walshfamilywine.com.